The projected fatality data for 2009 places the highway death count at 33,963, a drop of 8.9 percent as compared to the 37,261 deaths reported in 2008. This is incredible news and an incredible accomplishment. Although these are preliminary numbers, the story is clear….we are seeing an unprecedented drop in fatalities. These are the lowest numbers of fatalities in a half century of automobile travel. It is important to realize that you are not only living in historical times for highway safety, but even more so, you are helping write that history. As we all know, it has been a collective effort to get this far and many share credit for this change…just as it will take many to continue to move us towards zero deaths. Still almost 34,000 Americans die on our nations’ highways, and millions of men women and children are seriously injured. This tragedy affects not only their families and friends in communities across the United States, but poses a tremendous burden on our health care system and our economy. But there is progress being made. As an example, the $26.6 billion in American Recovery and Reinvestment Act (ARRA) funds that were directed at improving the nation’s roads provided an opportunity to not only provide Americans with jobs, but to also save lives. In the past year, the State DOTs have initiated 880 ARRA projects specifically aimed at improving safety and traffic management on the nation’s highways representing 7.2% of total FHWA ARRA projects and 5% of total funding. Many of these projects used low-cost technologies that have been proven to save lives and reduce the severity of crashes. However, this $1.27 billion investment of ARRA funds in safety projects is only the tip of the iceberg. All 12,200 plus highway projects built with ARRA funds have been designed according to the latest safety standards with many including wider shoulders, new and more effective guardrails, and bike and pedestrian facilities. WASHINGTON provides an excellent example of a state making the best use of its ARRA funds to reduce highway fatalities and injuries on a statewide basis. By using a data based approach to identifying effective countermeasures and the best locations to apply them, Washington State is ensuring that ARRA funds are making a significant contribution to highway safety. The installation of these effective safety measures on a truly statewide basis will yield significant safety benefits. On rural Interstates like I-5, high tension, cable median barriers are estimated to reduce head-on and sideswipe crashes that result in fatalities and serious injuries by 25%. Centerline rumble strips are also estimated to reduce the same types of crashes by 25%. INDIANA A large part of Indiana’s Cable Guardrail (CGR) Program was funded with Recovery Act funds. Recovery Act funds paid for 77 miles of new cable guardrail on 4 projects and 6 different interstates. The total bid amounts for all the Recovery Act CGR projects were $6.85 million. These projects were selected from an analysis of cross-median crashes on Indiana interstates, targeting more than 75 severe crashes of this type per year. The projects selected should reduce the targeted crashes (i.e., crossed-median crashes) significantly according to the latest research. Due to high speeds and the typical head-on nature of these types of crashes, the severity of these crash types is much higher than the average severity of all crashes. The installation of the TL-4 (designed to handle passenger vehicles and certain trucks) cable guardrail system on six different suburban and rural interstates is expected to reduce fatal and injury head-on and opposing direction sideswipe crashes by 25 percent at the project locations. ARIZONA is dedicating over $13 million in ARRA funds for safety improvements on its rural highways where 60% of its highway fatalities occur. It is also a significant nationwide safety problem. Arizona has recognized the need to protect its rural citizens and communities from fatalities and incapacitating injuries. There are several projects to highlight from the ARRA safety investments. Two pavement preservation projects on county roads near Flagstaff, AZ incorporated the relatively new “safety edge” to reduce the hazard of the “edge drop-off” problem. These two projects also renewed pavement markings and upgraded guardrail. A roadway widening project on a rural two-lane segment of SR-87 north of Payson, AZ provided two passing lanes on long steep grades, and also included new guardrail and new/renewed pavement markings. A rural intersection between US-191 and a two-lane road south of Clifton, AZ was realigned to provide better sight distance for drivers. Turn lanes were added along US-191at a local street intersection in the small unincorporated community of Sunsites, AZ to reduce the potential for rear-end collisions for vehicle waiting to turn left off of the through highway. Finally, an outmoded and hazardous interchange between I-10 and a county highway is being replaced with a new full diamond interchange. The old interchange was a partial cloverleaf constructed in the 1940s and included very tight 25 mph loop ramps and other substandard features not compatible with the current 75 mph traffic speeds along I-10. In addition, this project is the first step in a series of improvements that will allow the relocation and realignment of the Union Pacific Railroad and the elimination of one railroad underpass (railroad over I-10) with very substandard vertical clearance. Potentially, it could also eliminate a pair of bridges carrying I-10 over the same railroad. The railroad is contributing funds to the project because it permits them to operate trains at higher speeds by reducing the number and severity of curves. The roadway widening project on SR-87 with the addition of passing lanes is expected to reduce total crashes by 25 percent in both directions of travel. The realigned intersection south of Clifton with improved sight distance is expected to reduce fatal and injury crashes by 50 percent. The left-turn lanes added to the intersection in Sunsites is expected to reduce fatal and injury crashes by over 50 percent. SOUTH CAROLINA has targeted run-off-the-road crashes by integrating safety into larger projects funded by ARRA. Fifty-four percent of South Carolina highway fatalities between 2004 and 2008 resulted from run-off-the-road crashes. This percentage translates into almost 2,800 lost lives. To reduce these deaths, the South Carolina Department of Transportation (SC DOT) has inserted safety improvements into Interstate projects. In addition, the state has placed a strong emphasis on safety throughout other projects. South Carolina received $463 million in ARRA funds. Approximately $90 million of these funds is dedicated to 11 Interstate rehabilitation and upgrade projects that incorporate shoulder rumble strips to address run-off-the-road crashes. Raised profile pavement markings are included in many of the 60 non-Interstate resurfacing projects funded through ARRA. In addition, the State has also advanced ARRA funds to twelve stand-alone safety projects totaling $15 million that provide for guardrail, turn lanes, flattening of curves, and intersection improvements. Another $15 million is set aside for Interstate pavement marking projects, $3 million for signal upgrades and $14 million for more than 30 sidewalk projects to enhance pedestrian safety. To complement its use of funds for rumble strips, the SC DOT launched a safety campaign with the Roadway Safety Foundation in August 2009 entitled Recognize, React, and Recover: Using Rumble Strips to Prevent Run-off-Road Crashes. 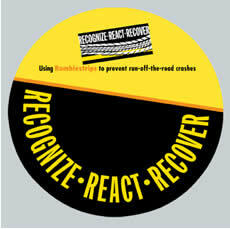 To download copies of the Recognize React Recover radio and television PSAs or to order a copy of the DVD and other materials, visit www.roadwaysafety.org. A run-off-the-road crash occurs in South Carolina every half hour, and one person dies in one of these crashes every day. Shoulder rumble strips have proven to be very effective in reducing run-off-the-road crashes and saving lives which why SC DOT is taking advantage of their use. The use of the shoulder rumble strips is expected to reduce total run-off-the-road crashes by over 75 percent at the 11 Intersection project locations. The Accelerating Safety Activity Program (ASAP) is designed to assist States and Division Offices in the promotion of safety innovations. It provides an opportunity to raise the level of discussion, build on successful efforts, and expand on the potential to deliver results. This year, FHWA received 48 proposals whose total value of requested funding was over $550,000. As there was only $150,000 available, the competition was strong. Out of the 48 proposals submitted, the selection committee identified 18 projects to fund. They felt these projects would help the agency accomplish its goals and objectives in safety. Below you will find a list of project titles and the states that submitted them. With almost 34,000 fatalities occurring on the Nation’s highways each year, roadway safety remains one of the most challenging issues facing America. Although many highway safety stakeholder organizations have stepped forward to address these needs, there is no singular strategy that unites these common efforts. The dialogue on the need to create a national strategic highway safety plan was explored at a workshop in Savannah, Georgia, on September 2–3, 2009. There was strong agreement among the participants that even one death is unacceptable and therefore, we must aspire to move toward zero deaths. Although many details need to be addressed, with this input from over 70 workshop participants and further discussions with the Steering Committee following the workshop, the name of this effort became Toward Zero Deaths: A National Strategy on Highway Safety. What Is the Purpose of This Strategy? Toward Zero Deaths: A National Strategy on Highway Safety will be a data-driven effort focusing on identifying and creating opportunities for changing American culture as it relates to highway safety. The effort will also focus on developing strong leadership and champions in the organizations that can directly impact highway safety through engineering, enforcement, education, emergency medical service (EMS), policy, public health, communications, and other efforts. The national strategy will be utilized as a guide and framework by safety stakeholder organizations to enhance current national, state and local safety planning and implementation efforts. The intent is to develop a mechanism for bringing together a wider range of highway safety stakeholders to work toward institutional and cultural changes. One of the most significant needs is to change Americans’ attitudes toward highway safety. There are already programs and technologies that can result in substantial reductions in fatalities; however, those benefits will not be realized as long as the public and elected officials are not willing to pass laws or take the actions needed to implement them. This is why the national strategy will have two tiers: Cultural Change and Building the Foundation of Safety. We need to bring about cultural changes and strengthen leadership while improving the effectiveness of current activities. What Are the Next Steps? The goal is to develop an outline for the national strategy by the Spring 2010 and finalize the strategy in the following year. To reach those goals, the next immediate step is to identify and understand challenges and opportunities in reducing highway fatalities. Much work has been done to identify safety strategies and quantify their effectiveness, but additional research is needed to determine the impact of these strategies when fully implemented. The impact must include projections of lives saved as well as the health care costs of highway injuries and deaths, best practices, effective means of creating a cultural change, and other issues. How Can You Be Involved? Even more important than the national strategy itself is the process through which it will be developed. It must be both comprehensive and cross-cutting; it will need to have input and involvement from a broad base of stakeholders. Members of over 30 organizations have already expressed an interest in participating in the Stakeholder Group being facilitated by FHWA and AASHTO to provide additional input and feedback throughout the process. If you are interested in joining, please contact Kelly Hardy at khardy@aashto.org or 202-624-5868. In 2004, the Arkansas State Highway and Transportation Department implemented a pilot project to install centerline rumble strips on a 74-mile segment of Highway 7 in north central Arkansas. This rural, two-lane road had a high frequency of roadway departure crashes resulting in fatalities and serious injuries. Because this designated scenic highway runs through a mountainous area and the Ozark National Forest, many horizontal and vertical curves exist. Many of the fatal and serious injury crashes occurred in these curves. Centerline rumble strips were installed as part of a statewide project to install shoulder rumble strips on more than 382 miles of Interstate and multi-lane facilities in the State. By incorporating the installation of centerline rumble strips on Highway 7 as part of the overall statewide shoulder rumble strip project, a more efficient use of funds and resources was utilized. The centerline rumble strips were installed at a total cost of $59,000 - an average of 15 cents per linear foot. To determine the effectiveness of the project to reduce crashes, a crash analysis was conducted using three years of crash data before the rumble strips were installed (2001 – 2004) and three years of crash data after the rumble strips were completed (2005 – 2007). The analysis showed a 41% reduction in all crashes. Further analysis showed a 64% reduction in fatal crashes (11 crashes to 4 crashes), and a 26% reduction in injury crashes (160 crashes to 119 crashes). In particular, head-on and opposite direction sideswipe crashes were reduced by 56% (25 crashes to 11 crashes) during the study periods. The overall crash rate was reduced from a high of 1.54 crashes per million vehicle miles traveled (VMT) to a low of .92 crashes per VMT. Furthermore, the State realized an annual economic benefit of $3.7 million from the reduction in crashes. Due to the effectiveness of this project to reduce roadway departure crashes, similar type low-cost safety improvements may be implemented on other highways in the State. 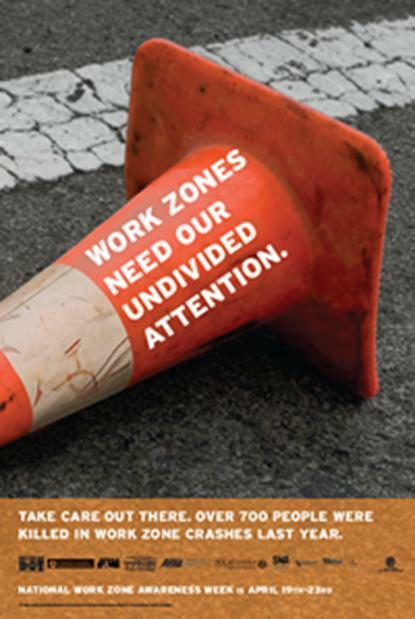 Hillsborough County Public Works Traffic Services Division in Tampa, FL has set a new standard of innovation in community safety by developing the first “Senior Zone” program in the nation. Senior Zones are similar to School Zones, which have the purpose of raising a driver’s awareness that they are entering an area where they must exercise additional caution. In the case of “Senior Zones”, the area contains a facility catering to seniors. Some of the safety implementations include: large lettered overhead street name signs; retro reflective pavement markers; improved pedestrian crossings; advanced lane assignment signs to help reduce last minute decisions and lane changes at intersections; and warning signs and markings installed near elderly facilities. Factors such as roadway and driveway characteristics, average daily traffic volumes, crash rates, facility population, posted speed limit, and pedestrian activity are reviewed, evaluated, and prioritized to determine if an area is eligible for “Senior Zone” designation. The County has implemented two pilot Senior Zones (one at Fletcher Avenue in September 2006 and one at Waters Avenue in May 2007). The most important achievement of the Senior Zone Program is the prevention of crashes and injuries at the two pilot locations. The frequency of crashes at the Fletcher Senior Zone decreased by 47% from 2006 to 2008 (January to November) and the frequency of crashes at the Waters Avenue Senior Zone decreased 37% during the same time frame. Additionally, at the Waters Avenue site there were two deaths in 2006, with no fatalities since the implementation. Furthermore, average speeds in the Senior Zones have decreased 9 to 18%, a major improvement by traffic engineering standards. Additional Senior Zones are currently being studied and prioritized based on a number of criteria. Once ranked they will be implemented as resources allow. ► Data driven enforcement in 1,600 high alcohol-related crash municipalities during national and statewide mobilizations. PennDOT works hard to ensure all officers are in possession of the most up to date crash maps and data for coordinated enforcement mobilizations. Funds for police overtime enforcement are provided through grants with PennDOT. ► Media coverage promoting the program and educating the public. In 2008, public awareness of the DUI message was achieved through newspapers, radio, TV, billboards, and brochures. ► DUI Courts for treatment of repeat offenders in hopes of lowering DUI recidivism. PennDOT will continue to expand its network of funded DUI courts in 2010 and 2011. ► Technology such as Ignition Interlock and the EyeCheck Pupilometer. ► Officer education and training in areas such as standard field sobriety testing (SFST), drug recognition and sobriety checkpoints. ► Judicial outreach to educate judges of PennDOT’s highway safety goals and local enforcement and media campaigns. Road Safety Audits Video Wins 2009 Bronze Telly Award. The Telly Awards honor the very best local, regional, and cable television commercials and programs, as well as the finest video and film productions, and work created for the Web. Since 1978, the mission of the Telly Awards has been to strengthen the visual arts community by inspiring, promoting, and supporting creativity. The 30th Annual Telly Awards received over 13,000 entries from all 50 states and 5 continents. The Federal Highway Administration (FHWA) announces the availability of the Highway Safety Improvement Program (HSIP) Manual (FHWA-SA-09-029). The HSIP Manual updates the 1981 HSIP User’s Manual (FHWA-TS-81-218) to reflect current law, regulations and new and emerging technologies and noteworthy practices regarding state and local highway safety improvement programs and related activities. The process and procedures outlined in the Manual can be used by state agencies to administer the HSIP, as required by 23 CFR 924. In addition, transportation planning organizations, as well as county and local government agencies can use the HSIP Manual to plan, implement, and evaluate highway safety improvement programs and projects that best meet their capabilities and needs. Evaluating the safety effects of projects and programs. Workshop participants might include state and local transportation professionals in the areas of data collection and analysis, safety management processes, and planning and project management. The HSIP Manual is available online at: http://safety.fhwa.dot.gov/hsip. The workshop is available through the National Highway Institute. For more information, visit their web site at: http://nhi.fhwa.dot.gov. The briefs are available on the Office of Safety website at http://safety.fhwa.dot.gov/intersection/resources/. Hard copies will be printed in the next few months. Please make this information available to your state and local partners. For more information, contact at Ed.rice@dot.gov or (202) 366-9064. In March, The Office of Safety Design announced the availability of technical summaries, Powerpoint slides, and newsletter articles for nine intersection safety case study success stories. These case studies describe crash reductions resulting from implementation of a specific intersection safety countermeasure or countermeasures. All of these materials are available on the Office of Safety website at http://safety.fhwa.dot.gov/intersection/innovative/roundabouts/case_studies/fhwasa09013/. Hard copies of only the technical summaries are currently being printed and will be available in a couple of months. The intent of these summaries is to provide information to practitioners and decision makers on treatments that have been successful in reducing crashes at specific intersection(s). Each technical summary, with accompanying slides and newsletter article, contains information on the purpose and details of the treatment, evaluation methodology, cost and implementation time frame, any implementation issues, crash reductions achieved, and state or local contact information. The crash reductions are typically based on before-after studies, and are not necessarily statistically significant - they are merely intended to show instances where implementing a countermeasure(s) was successful in reducing intersection crashes. In 2007 only 23 percent of the nation's population lived in rural areas, but 57 percent of fatal crashes on our nation's roadways occurred on rural roads. SAFETEA-LU added the High Risk Rural Road Program (HRRRP) as a component of the Highway Safety Improvement Program and set aside $90 million annually to the states to implement safety projects on high risk rural roads. The HRRRP was initiated to address safety on the lower functional class of rural roads – rural major collectors, rural minor collectors and rural local roads. After four years of the HRRRP, the overall obligation rate for the program has remained low. FHWA has created a new CD that provides quick and easy access to the latest information on local roads safety. Whether you are a local road safety advocate, a practitioner, an elected official, or a community leader, you need information and tools to plan and implement roadway safety improvements. Organized by topic area in one place, the Local Roads Safety Resource CD provides guidance, tools, and other resources from government agencies and national associations on local roadway safety. The CD’s easy-to-use format and portability make it a vital resource for your agency’s local roads safety resource library. 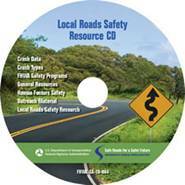 To order a copy of the CD, visit http://safety.fhwa.dot.gov/local_rural/training/resourcecd/ and fill out the order form. For further information contact Karen Timpone at Karen.timpone@dot.gov. 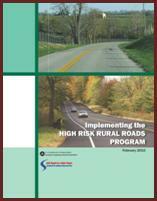 This guidebook can be downloaded at http://safety.fhwa.dot.gov/local_rural/training/fhwasa09025/. A printed version of this guidebook will be available in the future. The Roadway Safety Foundation (RSF) has announced its Recognize, React, and Recover: Using Rumble Strips to Prevent Run-off-Road (ROR) Crashes educational DVD/CD is available for ordering and shipping. Rumble strips are raised or grooved patterns in the pavement and can be up to 80 percent effective in reducing roadway departure crashes. Drive over a rumble strip and your car will vibrate; the tires will make noise. Rumble strips act as alarms for drivers, letting you know if your vehicle has veered out of its lane. They “sound the alarm” and get drivers’ attention, before it’s too late. Rumble strips provide a warning that may prevent an inattentive or drowsy driver from traveling very far out of their lane, and possibly striking another vehicle, a bicyclist, or a pedestrian. Rumble strips may also help drivers locate the edge of the travel lane during periods of inclement weather such as heavy rain, snow, fog or at night. Module 6 – A resource section with print and audio/video materials to help drivers be safe and avoid ROR crashes. As motorists travel across the country and encounter rumble strips, they should be reminded of our campaign slogan: Recognize the rumble strip is there for your safety. React calmly if you leave the travel lane and encounter a rumble strip -Stay off the gas and off the brake. Recover safely, using the techniques that you will find on the DVD/CD. The Recognize, React, Recover campaign was launched in South Carolina on August 26, 2009. As part of the campaign radio and television public service announcements aired on stations across the state of South Carolina from late August through the end of November 2009 through a partnership with the South Carolina Broadcasters Association. RSF is the only national organization solely dedicated to reducing deaths by improving the physical characteristics of America's roadways - design and engineering, operating conditions, removal of roadside hazards, and the effective use of safety features. RSF works to attain its goals by building awareness through media campaigns and outreach activities, developing educational materials and forming partnerships. It is a private non-profit 501(c) (3) organization. To download copies of the Recognize React Recover radio and television PSAs or to order a copy of the DVD and other materials please visit www.roadwaysafety.org. The South Carolina (SC) Department of Transportation, SC Department of Public Safety, Michelin North America, AAA Foundation for Traffic Safety, Street Survival, Families of Highway Fatalities and the Federal Highway Administration all assisted with the campaign. The updated Transportation Planner’s Safety Desk Reference includes strategies derived from the National Cooperative Highway Research Program’s (NCHRP) Report 500 Guidance for Implementation of the American Association of State Highway and Transportation Officials (AASHTO) Strategic Highway Safety Plan. All 22 emphasis areas are now covered, including five new ones (young drivers, bicycle collisions, speeding, head-on collisions on freeways, and motorcycles). Additional sections on collecting and analyzing highway safety data and developing emphasis area plans have also been added. This document discusses the planner’s role in transportation safety and the incorporation of safety into the transportation planning process. 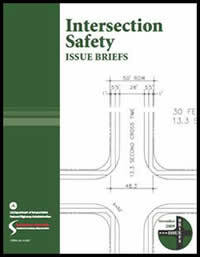 Each emphasis area section includes: overview of the problem; data defining the problem; descriptions of safety strategies that are most relevant to planners; crash modification factors that can be used to determine the reduction in crashes anticipated from specific safety improvements; additional resources and noteworthy practices, where available. This document will be available April 2010 on Office of Safety website, http://safety.fhwa.dot.gov/hsip/tsp/ For more information, please contact Tamiko Burnell at Tamiko.burnell@dot.gov or 202-366-1200. Updated Transportation Safety Planning instructor-led course, FHWA-NHI-151042 is now available. The course is designed to identify opportunities for improving the manner in which safety is integrated as a key planning factor and performance measure in all transportation plans and programs. This course is intended for transportation planning and safety professionals representing metropolitan planning organizations, State departments of transportation, transit agencies, FTA, FHWA, local planning organizations, motor carrier safety offices, and law enforcement. In addition, the course is aimed at State highway safety specialists and representatives from State Governors’ highway safety offices, infrastructure programs, public utility commissions, and consultants. If your State or local agencies would like to host a session of this NHI course, go to the NHI Web site at www.nhi.fhwa.dot.gov and select the “Host a Course” link, then complete the “Host an Instructor-Led Training (ILT) Course” form. After the form is received, an instructor will contact the local coordinator to schedule the session. There are currently a few free course available for more information, please contact Tamiko Burnell at Tamiko.burnell@dot.gov or 202-366-1200. Do highway agencies in your state want to use weathering steel guardrail? Do contractors want to substitute water-filled barriers for concrete Jersey wall? Are maintenance crews repairing guardrail terminals and attenuators with the correct hardware? Are your state's highways signed for 75 mph but the state only uses 60-mph crash cushions? The Office of Safety Design has prepared a list of Frequently Asked Questions addressing these and other issues regarding roadside barriers, barrier terminals, bridge railings, and crash cushions. These questions and answers offer clarification on the use of roadside hardware for issues not covered by FHWA policy, or topics that simply need additional explanation. They are the considered opinions of engineers in the FHWA Office of Safety Design and the FHWA Resource Center with helpful input from members of the American Traffic Safety Services Association’s Guardrail Committee. The FHWA has established the Crash Modification Factors (CMF) Clearinghouse to support and enable transportation professionals to identify the most appropriate countermeasure to address their safety needs. A CMF is a multiplicative factor used to compute the expected number of crashes after implementing a given countermeasure at a specific site. The CMF Clearinghouse presents both CMFs and Crash Reduction Factors (CRF), which are estimates of the percentage reduction in crashes. The CMF Clearinghouse contains a searchable database of CRFs, allowing users to search by countermeasure, crash type and severity, as well as other variables. Transportation professionals can also submit their own CMF studies for inclusion into the CMF clearinghouse. The Office of Safety R&D announces the availability of six technical summaries (TechBriefs) of recently completed research into alternative intersections and interchanges. These nontraditional designs offer substantial advantages under certain conditions compared to corresponding conventional at-grade intersections or grade-separated diamond interchanges. The TechBriefs, and the corresponding full report (see below), address geometric design features, operational and safety issues, access management, costs, construction sequencing, environmental benefits, and applicability of each design. The complete final report of this work will be available in the Spring, 2010, and will cover all six designs in greater detail. 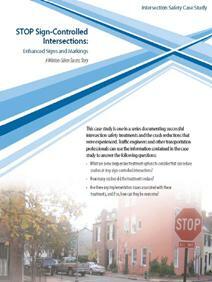 That report is titled Alternative Intersections/Interchanges: Informational Report (FHWA-HRT-09-060). For more information contact, Joe Bared at (202) 493-3314 or joe.bared@dot.gov. The Office of Safety R&D has released a report titled “The Effects of In-Vehicle and Infrastructure-Based Collision Warnings at Signalized Intersections” (FHWA-HRT-09049). The potential effectiveness of warnings to drivers of the imminent threat of a collision with a red light violator was evaluated in an experiment that used a driving simulator. Three warnings were tested: (1) an infrastructure-based warning that immediately turned the traffic signal red and activated red wig-wag lights, (2) an in-vehicle warning that consisted of a brake pulse, voice annunciation, and activation of a red dashboard light, and (3) simultaneous activation of both of these warnings. In addition to testing three warnings with different groups of drivers, drivers in each group were exposed to one of three traffic conditions: (1) driving with no other vehicles ahead or behind, (2) following closely to another vehicle, or (3) being closely followed by another vehicle. Twenty-eight States are participating in the ongoing FHWA Low Cost Safety Improvements Pooled Fund Study in support of the FHWA Strategic Highway Safety Plan. The study’s purposes are to estimate the safety effectiveness of a number of the unproven low-cost safety strategies identified in the National Cooperative Highway Research Program (NCHRP) Report 500 Series, and to provide a Crash Reduction Factor and Benefit/Cost economic analysis for each of the targeted safety strategies. The following reports present recently completed research into specific low cost treatments considered in this study. Corresponding TechBriefs provide practical summaries of the work reported. This document is a technical summary of the FHWA report, Surrogate Safety Assessment Model and Validation: Final Report (FHWA-HRT-08-051). This TechBrief summarizes the research and development of the Surrogate Safety Assessment Model, a technique combining microsimulation and automated conflict analysis, which analyzes the frequency and character of narrowly averted vehicle-to-vehicle collisions in traffic, to assess the safety of traffic facilities without waiting for a statistically above-normal number of crashes and injuries to actually occur. The Office of Safety R&D has released a report titled "Operating Characteristics of the SegwayTM HT" (FHWA-HRT-10-025). The objective of this research was to examine the primary operating characteristics of the SegwayTM HT (Segway), to support the development of a rational approach to incorporating Segway traffic into the regulation, planning, design, and control of shared-use paths and roadways. Research was conducted at the FHWA's TFHRC on a closed sidewalk course. Acceleration and stopping distances (for both planned and unplanned stops) as well as approach speeds and clearance distances when navigating around obstacles, were recorded. The Segway is one of a number of unconventional transportation modes that may share these facilities in the future. The methodologies described in this report may prove useful in determining the operating characteristics of these other modes as well. The report will be available on the Web shortly, at: https://www.fhwa.dot.gov/research/topics/safety/humanfactors/. Two reports on Intersection Collision Avoidance Systems (CICAS) research projects have been posted on the IntelliDrive Web site. The CICAS program is a multi-year, cooperative research program including Federal, State, academic, and industry partners. The goal of the overall research program is to use ITS technologies to address the problem of intersection crashes. The report titled "Cooperative Intersection Collision Avoidance Systems—Suburban Left Turn Assistant: Interim Report on the Human Factors Data Mining Efforts: Report 1 of 2" (http://www.intellidriveusa.org/documents/PATH CICAS HF Data Mining Report.doc) presents interim results of data mining of previously collected data from the CICAS Signalized Left Turn Assist program segment to answer three questions: 1) Whether the decision support should be provided to drivers through an infrastructure or an in-vehicle display, 2) Whether or not the driver assistance provided could take the form of a last-second warning, and 3) Whether or not predicted post-encroachment time should still be pursued as the primary means for determining whether or not it is safe for the driver to turn in front of the oncoming vehicles. California DOT and the FHWA jointly funded the project.